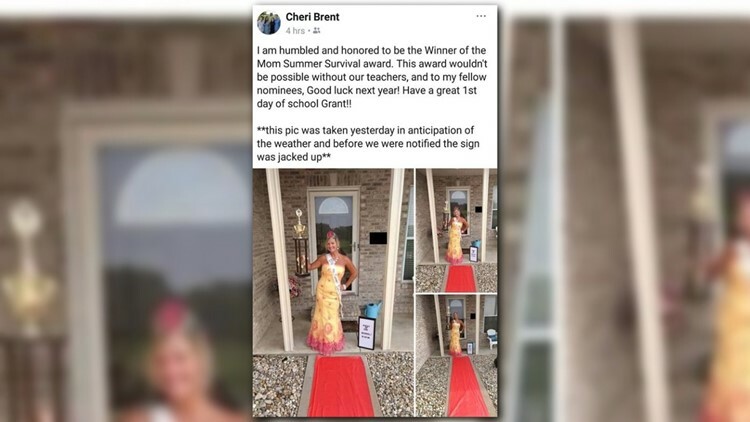 O'FALLON, Ill. (KSDK) — There are probably a lot of parents who feel like Cheri Beltz this week. The O’Fallon, Ill. mother sent her kids off for the first day of school, and she was a little excited, to say the least. Beltz literally rolled out the red carpet—not only for them—but for herself as well. 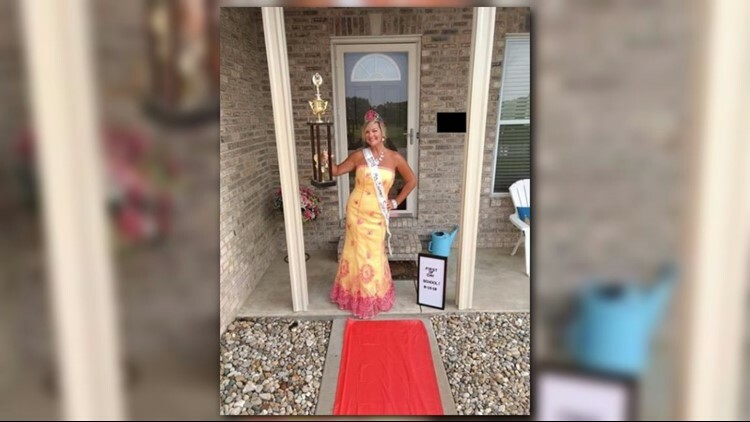 Wearing a dress fit for a spring formal, a sash and rainbow tiara and hoisting a trophy in the air, Beltz crowned herself the winner of the Summer Survival Award. "I am humbled and honored to be the winner of the Mom Summer Survival Award. This award wouldn't be possible without our teachers, and to my fellow nominees good luck next year!" she wrote on Facebook. Beltz—who’s a mother of four—told 5 On Your Side she does this before the start of every school year. It all began when her youngest started kindergarten seven years ago. “I’ve been doing this for so long that every year I have to up my game!” she said. And she has had some epic posts in the past. So, why does Beltz get so excited about the first day of school? “Let me just say I was a stay-at-home mom with four kids, a neighborhood full of kids and a pool… that just equals a house full of company all summer long, so I was so excited for school!” she said. Parents, let us know how you celebrate the first day of school! Share your photos on our Facebook page, share them with us on Twitter or email us at photos@ksdk.com.